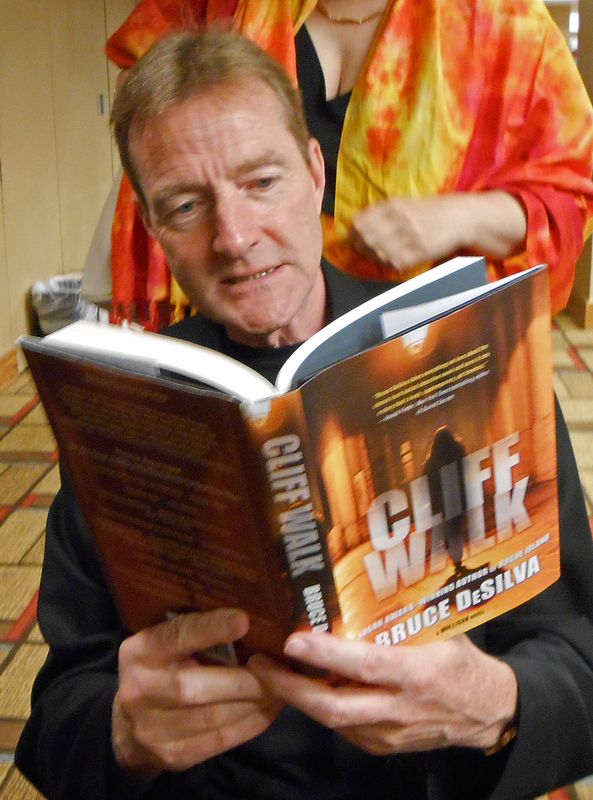 Look Who’s Reading “Cliff Walk.” It’s Lee Child. Lee Child is the best-selling author of the Jack Reacher thrillers. You can learn more about Lee–and watch the trailer for the forthcoming Jack Reacher movie–here. Cliff Walk is the second novel in my series featuring Liam Mulligan, an investigative reporter at a dying Providence, R.I., newspaper. The first, Rogue Island, won the Edgar Award and the MaCavity Award and was a finalist for the Shamus, Barry, and Anthony Awards. Reviewers say Cliff Walk is even better. You can purchase the Mulligan novels here. This entry was posted in Uncategorized and tagged Anthony Award, barry award, Bruce DeSilva, Cliff Walk, edgar award, Jack Reacher, Lee Child, Liam Mulligan, Macavity Award, mystery, Providence, Rhode Island, Rogue Island, Shamus, thriller, Tom Cruise. Bookmark the permalink.